We can fulfill your ice cream dreams at any type of event. We cater for weddings, birthdays, launches, fashion and corporate events and children's parties. We also run ice-cream masterclasses for individuals or groups. Try our delightfully unique Miss Ruby's Ice Cream Tea for 2 at either parlour. We pride ourselves on ensuring all our events are as personal and as bespoke as possible, so please contact us to discuss your options using the form at the bottom of this page and we'll be in touch. Billy, our 1968 vintage Austin ice cream van, comes filled with your choice of 12 flavours of ice cream and sorbet, to be served in cones or cups with wafers and napkins by Ruby Violet staff. We can roam around with our freezer tricycle or trolley or set up a stand with a choice of four flavours to be scooped in cones or cups. We can also serve cones or cups of ice cream from usherette trays and delight your guests with frozen treats in different shapes and flavours. 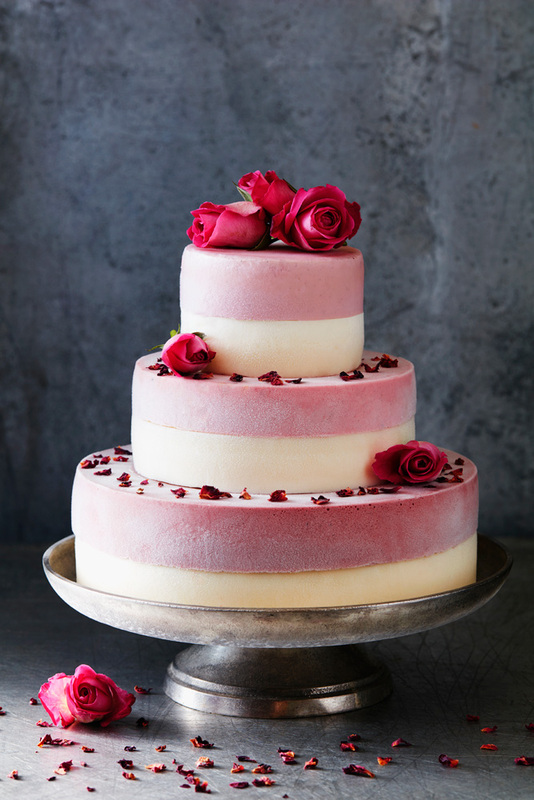 We create celebration cakes and desserts in any flavour, size and design you wish to make the experience most memorable for you and your guests. Over the last 6 years we have created a vast range of unique and unusual flavours, alcoholic sorbets and savoury ice creams for a variety of different clients. In addition to serving ice cream in cones or cups, we can design an experience to complement your product and brand, be that developing flavours and colours to work with your launch or serving products from our Special Occasions range, which includes gelollies, petit fours, flowers, cakes, bombes and ice cream sandwiches. We work with clients to create bespoke flavours. Some recent collaborations include: Rare Food Events, Chandon, Food Network, Toujours 21, Principal Global Events, Gin Mare.